A while back I posted Jon Cowherd’s “Crooked Creek” from one of my favorite albums, Brian Blade’s Perceptual. This is the title track from that album, also by Cowherd. 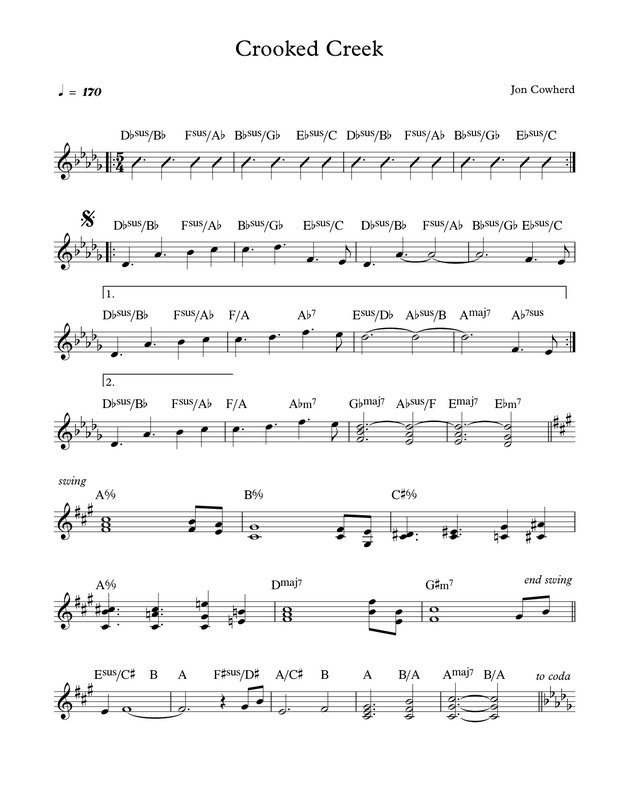 This entry was posted in Uncategorized and tagged brian blade, jon cowherd, lead sheet, music, Noteheads, Perceptual, transcription on May 5, 2014 by noteheads. Speaking of Kurt Rosenwinkel, here’s a Jon Cowherd tune that features him. It comes from Brian Blade’s album Perceptual. Kurt takes the first solo, followed by Daniel Lanois on pedal steel. I love the interplay of the band on this record: shifting dynamics and moods, following soloists from whispers to joyful shouts and back again. 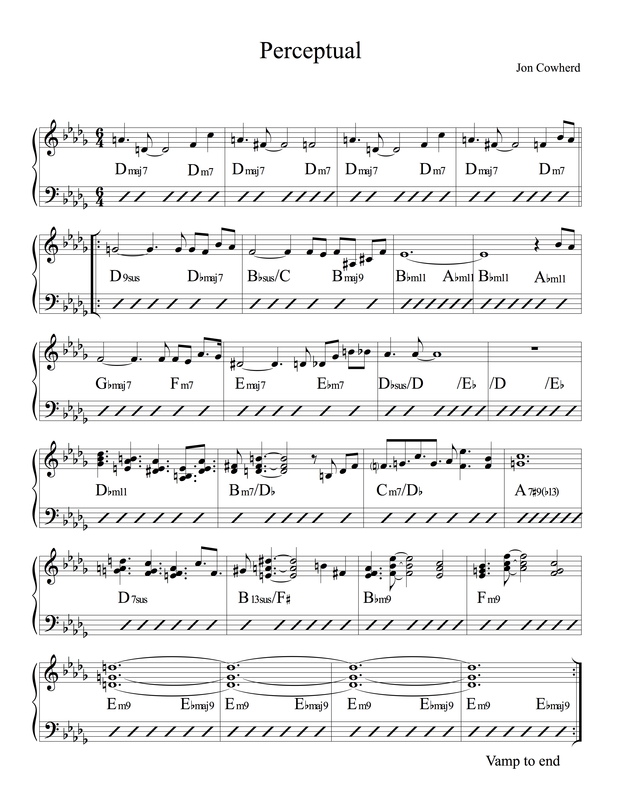 This entry was posted in Uncategorized and tagged brian blade, crooked creek, jazz, jon cowherd, lead sheet, music, Noteheads on March 9, 2013 by noteheads.